By now the story is familiar. White man discovers a new land, pushes out the naturals, and sets up a society that discriminates against and marginalizes its original habitants. Over time, when the repression becomes too much, the encroached-upon rise up to protest and in the name of national unity are squashed down and left to manage whatever living they can scrape together in the remote regions. Foreign operators, with the sanction of the host government, come to pillage what is valuable, leaving none of the profit behind, only damage to the land and to whatever chance there was for a normal, functioning society. In Heart of Sky, Heart of Earth we catch up with the effects of this pattern: Maya in Mexico and Guatemala trying to maintain their indigenous dignity in the face of commercial expansions into their habitat—for which, they say, mankind is already paying the price. The wholeness of nature is sacred to the Mayan cosmovision, and to cut into its delicate balance is to handicap its ability to perform. Every species of animal and plant life has a purpose. Every earthly formation has a place. Without one, we will not have the other, and to cause a void in the interdependency has consequences. What was once whole and harmonious becomes fractured and dysfunctional. What was once pure becomes toxic, and we are warned in the film that nature’s ability to absorb continued harm is nearing an end. In the film we ride with Alonso, a Tzeltal Mayan and art historian, as he tries to find an archeological ruin in Chiapas that has been overtaken by foreign limestone excavators. The cleared land, noisy trucks and maze of dirt roads are a jarring contrast to the peaceful natural habitat in the film’s earlier sequences. When he sees what’s been done to the land and realizes that industrialists have razed much of the Tortuguero ruins, he cannot hide his disgust. “It’s apocalyptic,” he mutters to himself as he turns his truck around. “Few words can express the total loss,” he tells the filmmakers when he regains composure. But there is reticence on their faces. “It is better to be silent and live,” one says away from the group, and it is a reminder of the tradition of killing that accompanies resistance. Guatemala’s government has a history of repressive force against public shows of protest, particularly from Mayas. In 2011 its soldiers fired into a crowd of indigenous demonstrators blocking access to contested land, killing eight and wounding forty, and in 2004 twelve were shot protesting land evictions. Guatemala suffers from huge land inequities that create enormous poverty in this agro-centric society, particularly in its majority Maya population. Racism and a government readily open to the influence of bribe and favor make the indigenous powerless to change their situation. Efforts at land reform have brought massive killing, and so too have attempts at protecting the land from multinational operators. Mexico also has a corruption problem, and NAFTA dumping has driven millions of farmers out of business and up north, creating voids in the family left behind and therefore social and economic problems. NAFTA also opened the way for foreign corporations to set up plants in Mexico, and this has had its own effect on indigenous culture and the environment. 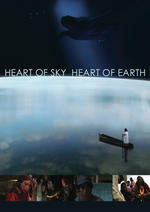 If Heart of Sky, Heart of Earth has a weakness, it’s that its purpose is unclear and obscured. It’s quite a ways into the film before we understand what we are watching and why we are watching it. As an exposé on modern-day Mayan spirituality, it piques our interest. As a human rights film, it only touches on the subject. But as an environmental film, it succeeds in drawing attention to the damage caused by foreign industrialists, and the disregard they have for the people and land they are hurting. Paul N. Avakian is a 2009 scholar-award recipient for the Nieman Conference on Narrative Journalism at Harvard University, and a winner of Emerald Publishing’s 2010 award for excellence.